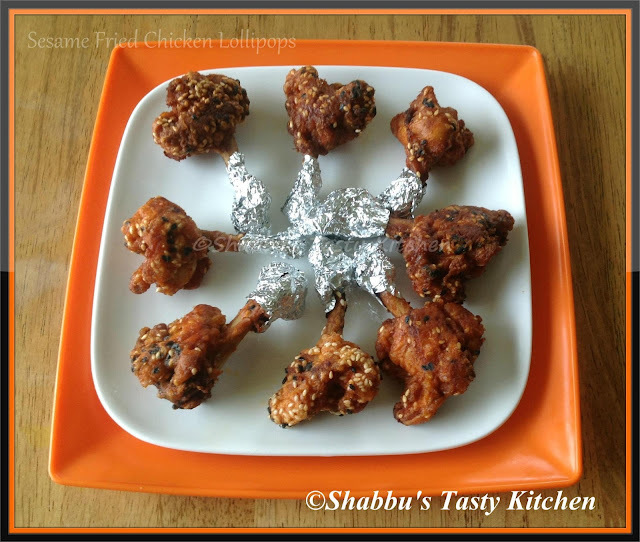 In a bowl, add the cleaned chicken lollipops, garlic paste, lime juice, chilli powder and salt and mix well. Keep it aside for 10-15 minutes. In another bowl, beat egg with a spoon. Add corn flour and salt and make a batter. Place white and black sesame seeds in a plate. Dip each marinated chicken lollipops in the batter and roll out in the sesame seeds. Simple ingredients & easy to make, delicious & tempting!